The smoothie is energy in a bottle. It’s a blend of veggies and fruits that are surprisingly sweet and refreshing. Kale is a superfood, so you’ll get a fair amount of nutrients. 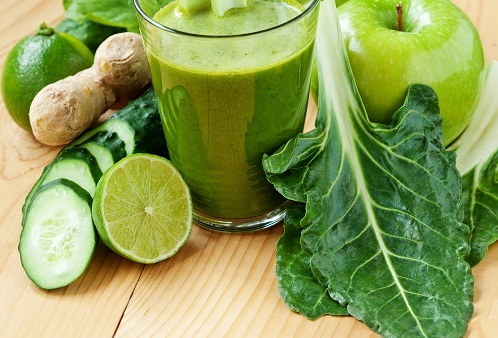 Blend kale, seedless grapes, cucumbers and Granny Smith apples in a blender.